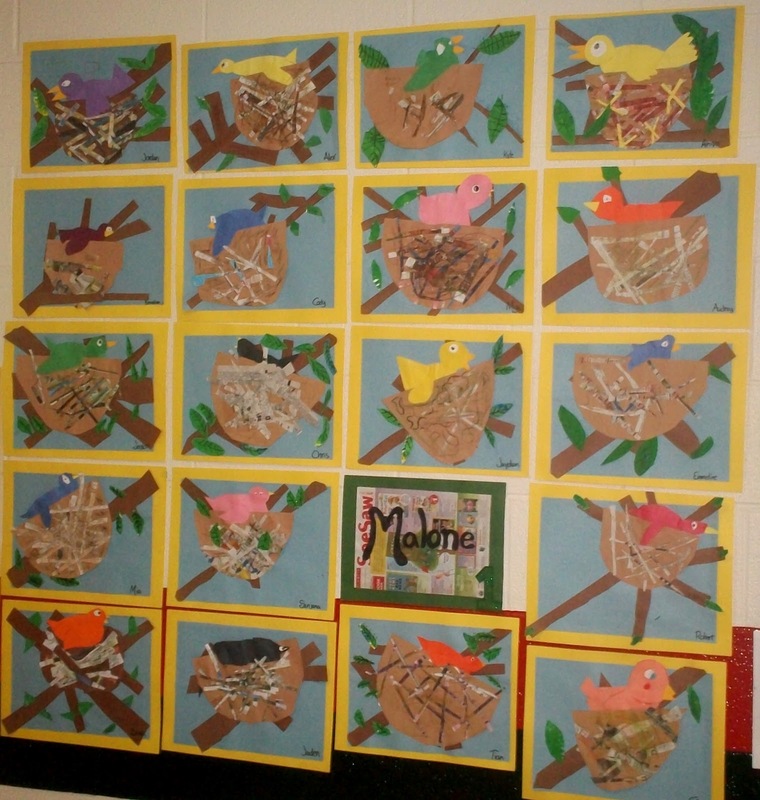 I know you shouldn't have favorites...but I LOVE this one!!!! 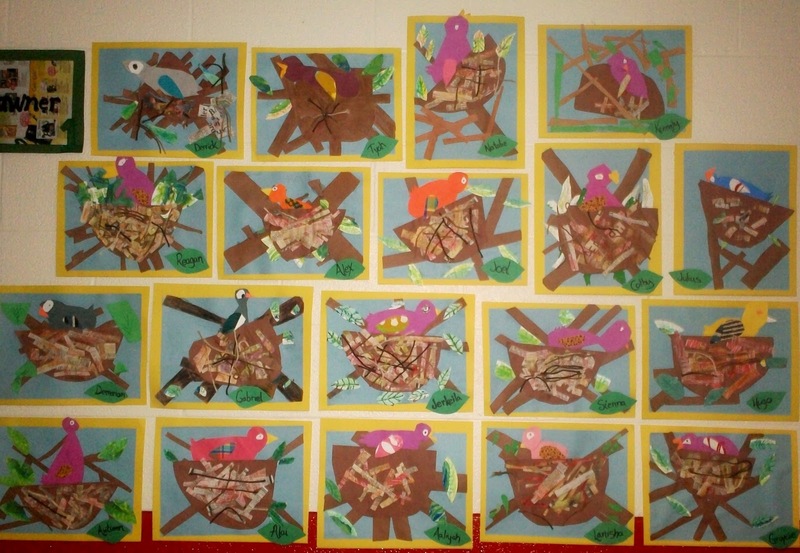 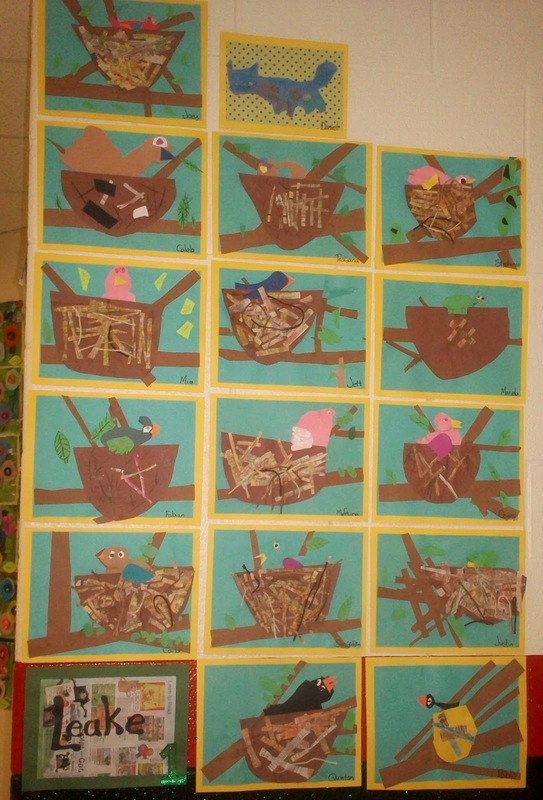 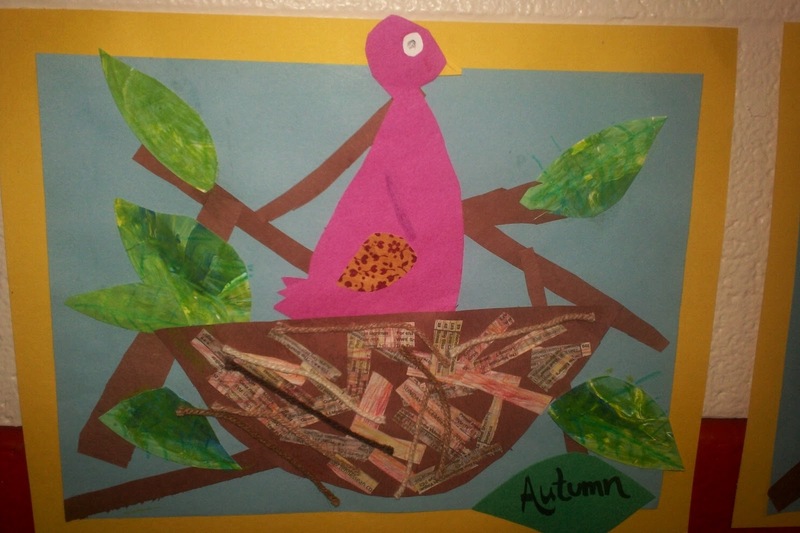 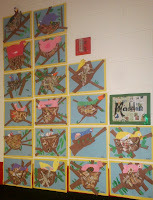 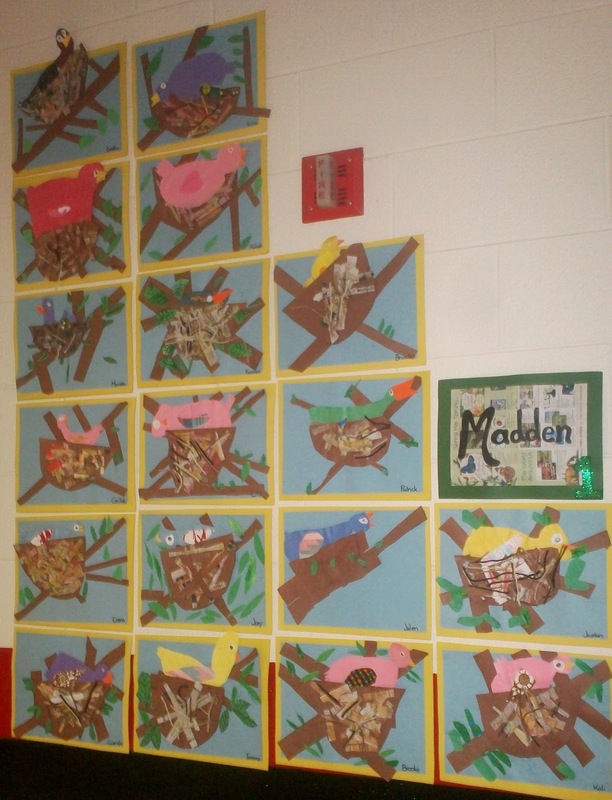 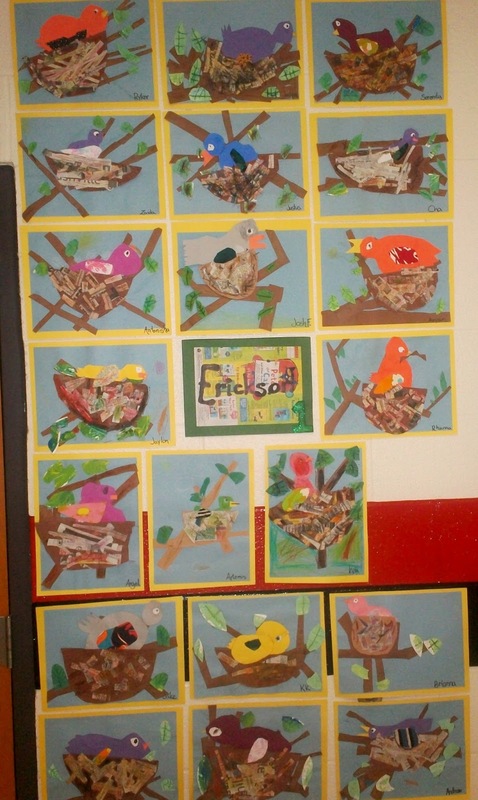 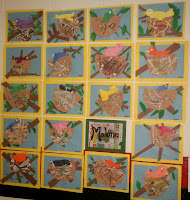 First grade "Birds in a Nest" where a fav among those that attended the art show! Here the students used construction paper, scraps of fabric, newspaper, crayons, and the painting plates my kindergarten students used to create their "green" for the background of their pictures.